Lipstick and Lightening: Blogging: Finding Your Niche! Niche: A position or activity that particularly suits somebody's talents and personality or that somebody can make his or her own. Hi guys! Today, I am talking about something a little different, finding your blog's niche, particularly in beauty blogging. Don't wince and have flashbacks of Higher Level Business when I say 'niche', though based on the same principal, it's a little different, and alot more interesting. When it comes to blogging, what is your niche? Your Unique Selling Point? What makes your blog stand out? How do you differ from the other blogs out there? Can you figure it out? If you can, well, that's your niche! And if you don't have a niche, that's perfectly fine, too. The concept of having a niche for your blog was something that was re-iterated at the Irish Blogger Conference. I think it was Keith Mahon from thetaste.ie, that said, if your blog did not have a niche, readers may lose interest in your blog. That was a statement I disagree with, but I understand his viewpoint. I disagree with this because I believe some readers will regularly read your blog if what you post is interesting, if you interact with your readers, take great photos and have impeccable grammar. If you let your personality shine through your posts, you will gain a loyal readership. No matter if you blog about fashion, beauty, sport, travelling, gardening, and anything in between. However, I think following blogs with a specific niche can be very handy. 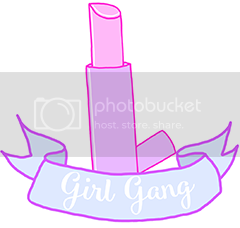 For example, if I wanted product recommendations on face make-up, I'll turn to Makeup Monster, if I wanted fantastic tutorials on eye make-up, I'll look towards Grace O'Connell, I go to Tattooed Tealady for skincare recommendations and I love Essie Button for travel, lifestyle and general lols. Someone who has a niche, I think I would trust their opinion on certain subjects more because that's what they specialise in and seem to have more knowledge on a certain subject. I have only found my niche two months ago. I found my niche after delving into my archive, I looked at what I focused on in blogs, what I thought was important to say in blogs. Since I am a beauty blogger, I also looked at what I bought, and why I bought it. What were the patterns? What was important to me when buying something? What excited me when writing up a review? Soon, a very obvious pattern emerged. I realised I focused on make-up and skincare that was eco and animal friendly, preferably natural, products containing no nasty ingredients. I would consider my niche to be: Beauty and skincare that focuses on ingredients and natural eco and animal friendly products. That being said, I don't write about this in 100% of posts! I like to write some opinion and lifestyle pieces from time to time! 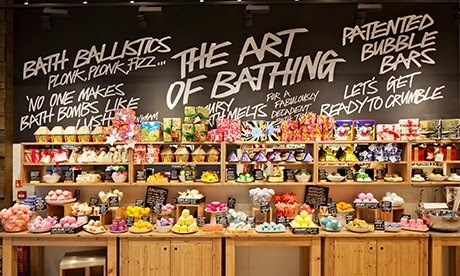 Lush Cosmetics. A brand I write about quite alot. It's in line and perfect for my niche! If you really want to find a niche for your blog, I have a few tips that could come in handy! 1) What excites you when doing up a blog post? Is it a particular brand that you really rate? Have you excellent photo editing skills that make a post really attractive? Remember, photos can make or break a post. Do you focus on ingredients? Perhaps you prefer to post about high end or budget products? When you identify this, you can hone this and make this aspect even better. :) 2) Look over your posts. Is there anything in particular you like to blog about? If a pattern emerges that you have a high blog post count on for example, travelling, that could be a sign that that's what you are passionate enough about to blog about the most. Try and find a pattern. 3) If you are a blogger that needs you to make regular purchases, like a beauty, food or fashion blogger, what draws you to buying a certain product, food or clothing? Do you support local business? Do you specialise in rustic or fusion food? Are you more into skincare rather than make-up? 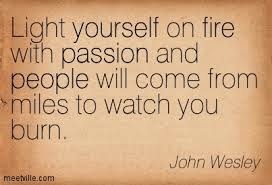 Write about what truly interests you, and your passion will shine through! :) Don't write about what everyone else and your readers want. At the end of the day, it's your blog, it's your voice. Use it however you see fit. I hope this blog helped some of you out there! Does your blog have a niche? What is it? Do you prefer to read posts that have a certain niche or those who post about anything? Let me know below!